After a number of European governments refused to ratify a controversial and notoriously ambiguous EU migrant deal struck behind close doors in late June which Deutsche Welle referred to as a "heavily-coded text, in which each phrase has a specific meaning for the individual parties," the European Commission on Tuesday announced a surprise proposal to pay European governments €6,000 (or about $7,000) for each migrant they take in. 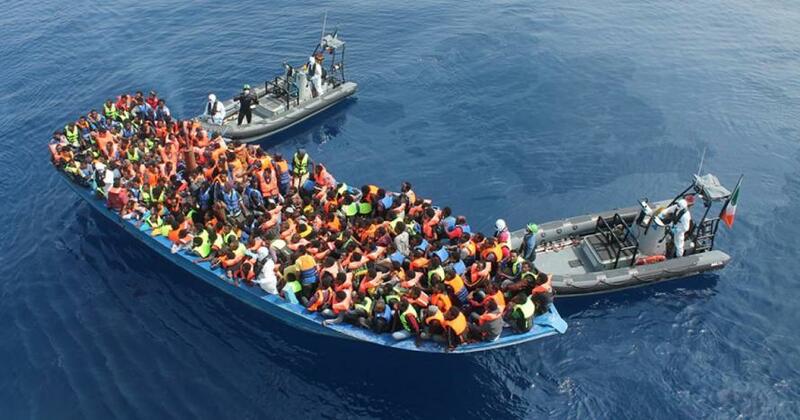 The proposal also comes as the migrant crisis has hit a peak for Europe's Mediterranean nations, and has become politically disastrous for others like Germany, causing Italy's new government to make the dire move in June of closing the country's ports to rescue vessels. The Commission’s plan, which is aimed at EU governments that set up so-called controlled centers on their soil, follows a June leaders’ summit that claimed success in reaching a hard-fought agreement to control immigration but left many details undecided. The "claimed success" after the June "agreement" was met with appropriate skepticism bordering on mockery in European press, with some notable European newspapers in the aftermath going so far as to say Europe is being "torn apart over the migrants" — with the true nature of the crisis being more political than actual, as center-left Le Monde's Brussels bureau writing the June migrant deal was "rather surreal, given that the migration crisis barely exists - the flow of migrants has fallen by 95% since October 2015" — a sentiment echoed in other corners of Europe. Reuters also concludes in its report on Tuesday, "Irregular migration has fallen steeply since 2015, when more than a million people entered the EU, but polls show it is still a top concern for many of the EU’s 500 million citizens." Migrant arrivals peaked in 2015, and have fallen steeply since. Italy's port shutdown has come after it's repeatedly told EU leaders in Brussels that it bears an unfair burden of asylum seekers in the midst of a failing economy. Italy's new interior minister, Matteo Salvini, stirred controversy in mid-June after turning away boats filled with hundreds of migrant refugees, announcing on Facebook: "Malta takes in nobody. France pushes people back at the border, Spain defends its frontier with weapons. 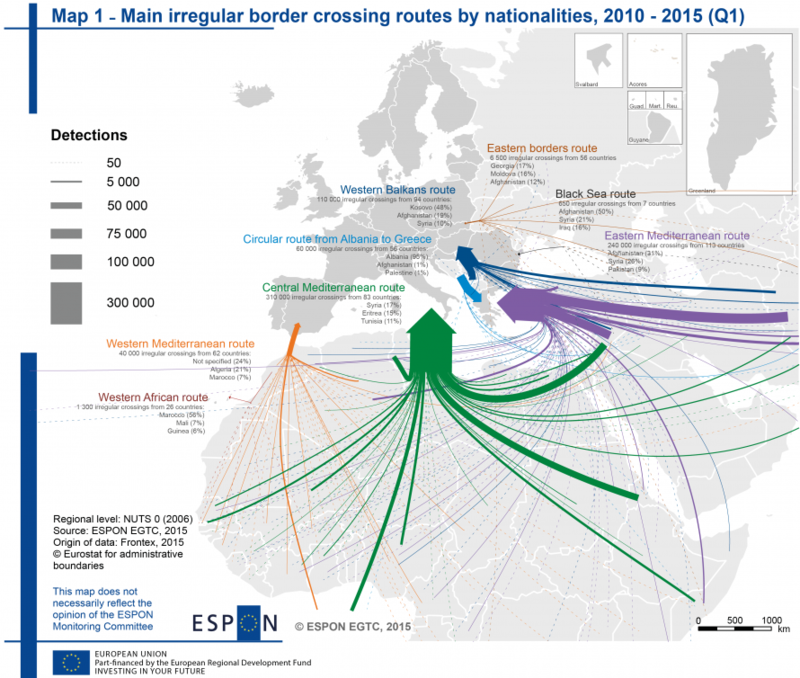 From today, Italy will also start to say no to human trafficking, no to the business of illegal immigration." Germany also has been in political turmoil over the issue throughout the summer, with Chancellor Angela Merkel and her government barely surviving a massive groundswell of push back against her open-door, open-border migrant settlement policies, including the increasing visibility of the far-right Alternative for Germany party, or AfD, causing the chancellor to agree to set up border camps for asylum seekers while tightening the border with Austria earlier this month. 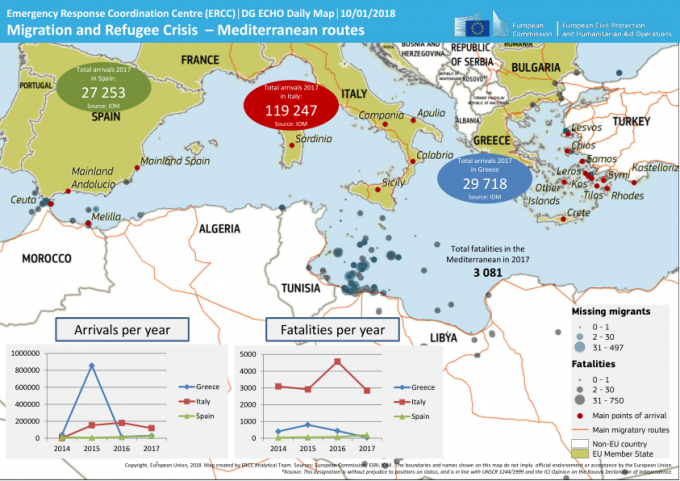 By publishing its proposals, a Commission spokeswoman said it was seeking “a truly shared regional responsibility in responding to complex migration challenges”, although governments have yet to come forward to host new centers. ...The Commission proposed a pilot phase to be launched as quickly as possible and said a “controlled center” taking in migrants could count on hundreds of personnel ranging from interpreters to asylum experts, all paid for by the EU. The newly published plan is set to be discussed by EU envoys on Wednesday, but we don't expect the crisis will be solved in the eurocrat fashion of merely throwing more money at governments that agree to acquiesce.